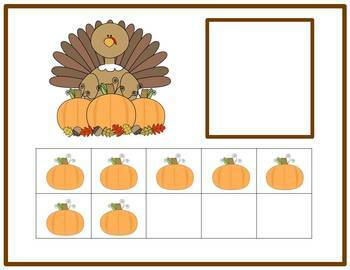 Here is a great Thanksgiving themed math center for the month of November! In this hands-on math center students will practice counting, identifying numbers, as well as, matching numbers and quantities and using tens frames. 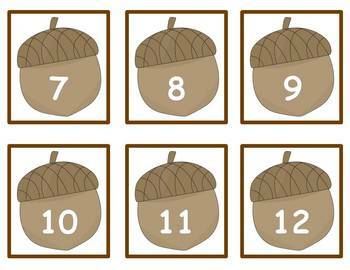 In this activity students have to select a card and count the pumpkins. Then students will find that number and place it in the blank square at the top. 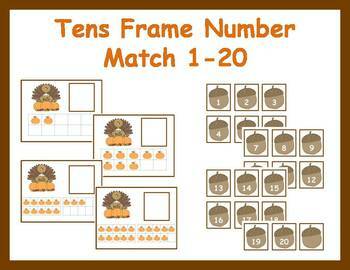 Students will count and match all 20 numbers. Want to differentiate this activity? Put the cards into two group: one group includes the cards and numbers 1-10 and the other group includes cards and numbers 11-20. 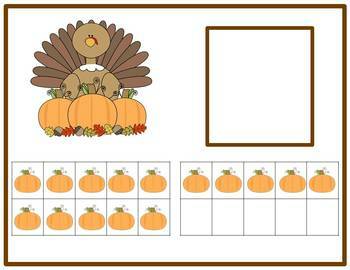 All you have to do is print and laminate and this math center is ready to go!